This story was originally posted in the Texas Standard by Michael Marks and written by Morgan Kuehler. Many of us can relate to returning a library book late. But rarely do most of us hold on to a book as long as one person, who recently returned a first-edition copy of J.R.R. Tolkien’s “The Hobbit” to the University of North Texas library. Morgan Gieringer, head of special collections, says a patron returned the book 45 years after they took it. 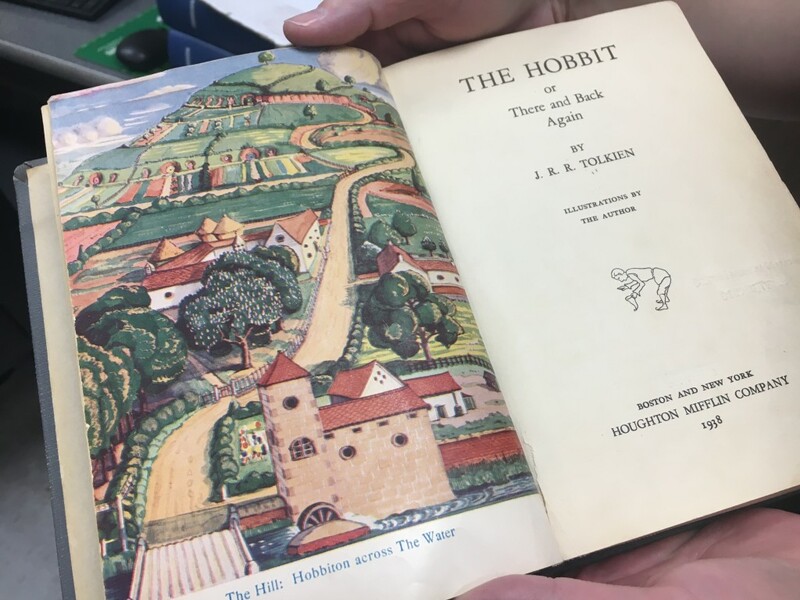 “From the note we received with the book, we understand that the person who found this book … obviously had a great knowledge of books and literature, and certainly an appreciation for ‘The Hobbit,’ and could not resist taking this book,” Gieringer says. Gieringer explains that the book doesn’t have the dust jacket or original binding, so it’s not as valuable as other copies, but it’s still valued at $800 to $1,000. Normally, a 45-year overdue library book would incur a hefty fine. But Gieringer says the library won’t try to recoup fees in this case, in part, because the book was technically stolen; the reader never officially checked it out. “We have not even attempted to calculate a fine for this. We’re just happy to have it back,” she says.